Drupal’s modular setup allows for different datastores to be integrated as modules, this allows sites to store different types of Drupal data into MongoDB. You can choose to store Drupal’s cache, session, watchdog, block information, queue and field storage data in either a standalone MongoDB instance or in a MongoDB Replica Set in conjunction with MySQL as the default datastore. 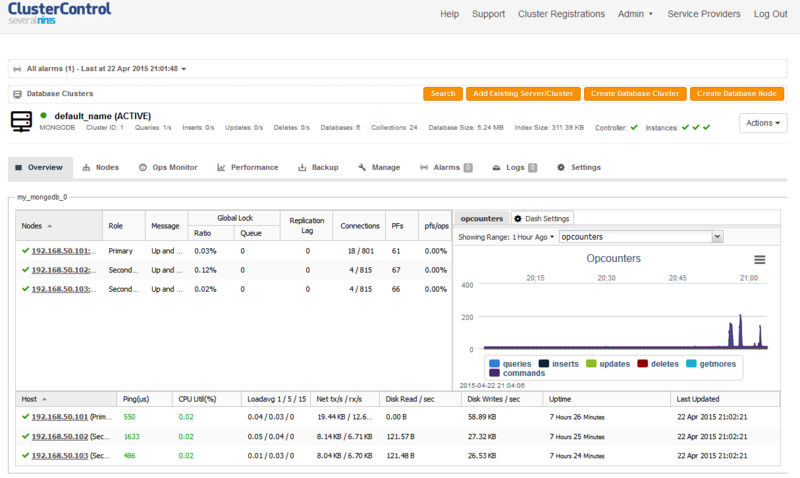 If you’re looking at clustering your entire Drupal setup, then see this blog on how to cluster MySQL and the file system. In this blog post, we are going to integrate our existing Drupal installation which runs on MySQL with a MongoDB Replica Set. 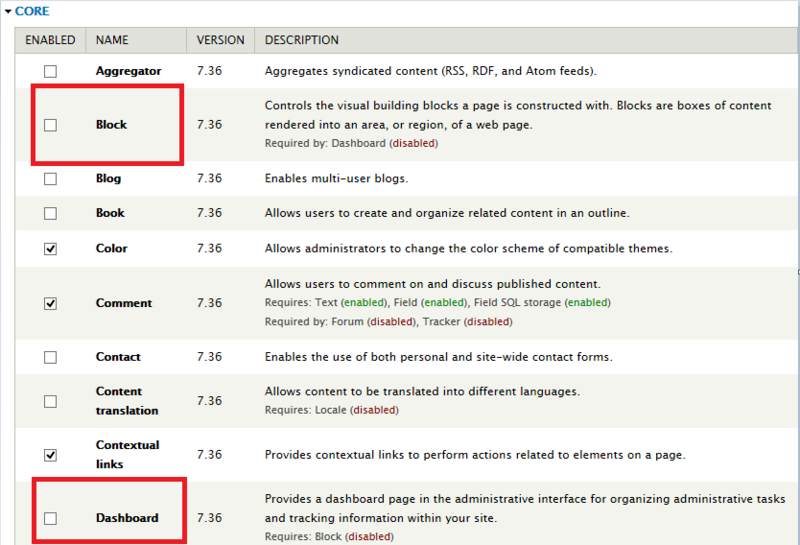 We are running on Drupal 7, which is located under /var/www/html/drupal on server 192.168.50.200. It has been installed and configured with a MySQL server running on the same host and Drupal is running and accessible via http://192.168.50.200/drupal. The following steps should be performed on your Drupal server. 'db' => 'drupal', // Database name. 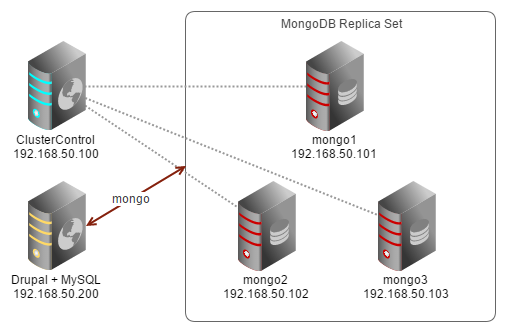 Mongodb will automatically create the database. We need to apply the following workaround to allow the Drupal MongoDB module to write to the primary node, which in this case is 192.168.50.101. Now, we are ready to activate the MongoDB module. ** Replace the <old primary> with the IP address of demoted node while <new primary> with the newly promoted primary node. That’s it! 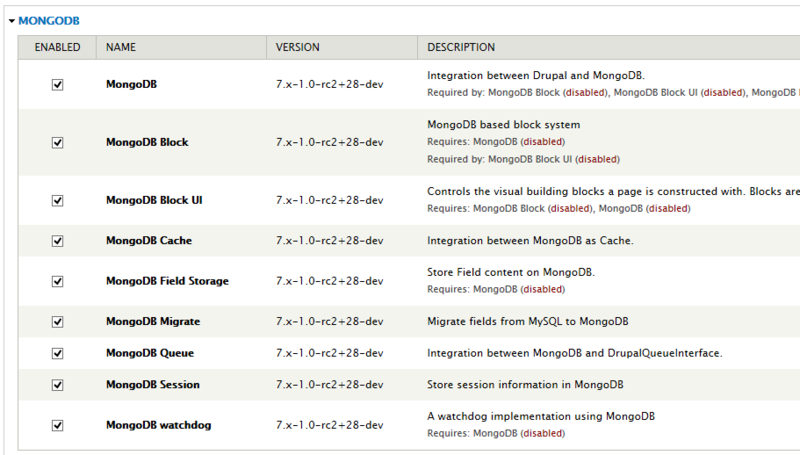 You are now running Drupal with MySQL and MongoDB replica set.